To celebrate Australia Day, a special Lamington ice cream will be available at Cold Rock South Bank and Everton Park! Dream up your ultimate flavour combo at Cold Rock Ice Creamery! Head down to the recently relocated South Bank venue at 4/410 Stanley Street, South Bank, Qld 4101. Overlooking the Rock Pool and the River, it's the perfect place to relax and unwind with family and friends this summer! The Everton Park venue has also relocated and can be found at 1/505 South Pine Road Everton Park. Pop in today for a $3 scoop! 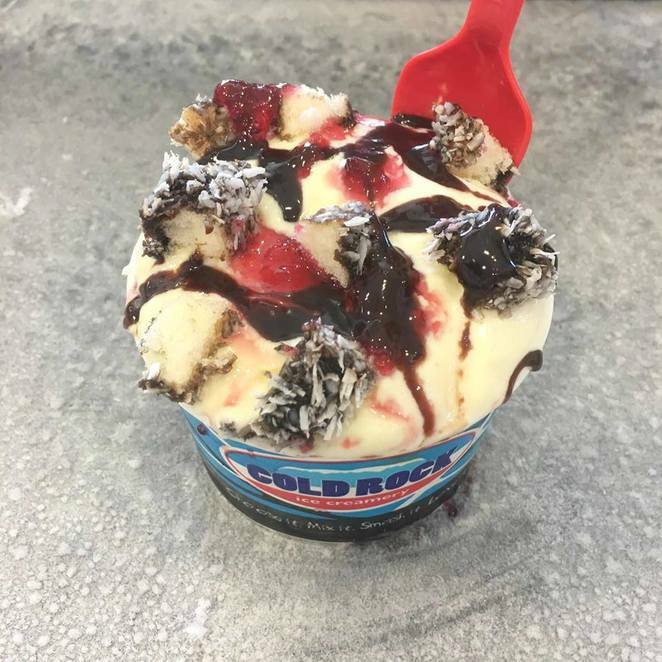 Home to a fantastic range of premium ice creams and sorbet varieties, Cold Rock is a wonderful place to enjoy a delicious range of sweet treats which you can personalise! On offer are traditional Cups, plus Shakes, Smoothies, Spiders and handy Take Home options. 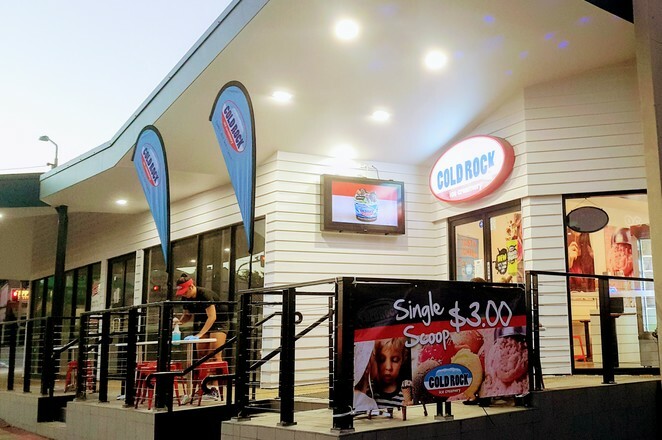 What sets Cold Rock apart from other ice creameries is their unique 'cold rock' - a frozen granite rock which staff use to freshly blend your chosen ingredients. This ensures your ice cream stays ice cold as it is expertly 'smashed' with your selection of fruits, nuts and confectionery! 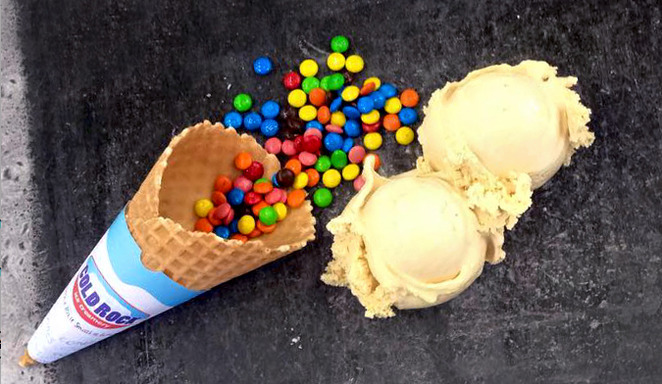 There is a huge range of mix-ins to choose from and you are welcome to get as creative as you like - there's some 3000 flavour combinations to enjoy! And if you can't make it to Cold Rock South Bank and Everton Park, you can still enjoy your favourites as UberEATS will deliver straight to your door! For more information on special offers and the latest taste sensations at Cold Rock South Bank and Everton Park, please follow www.facebook.com/coldrocksouthbank and www.facebook.com/coldrockevertonpark.